America, 2018: Waiting for old-school Superman. Growing up as a comics fan in the UK, I loved Superman more than any other superhero. 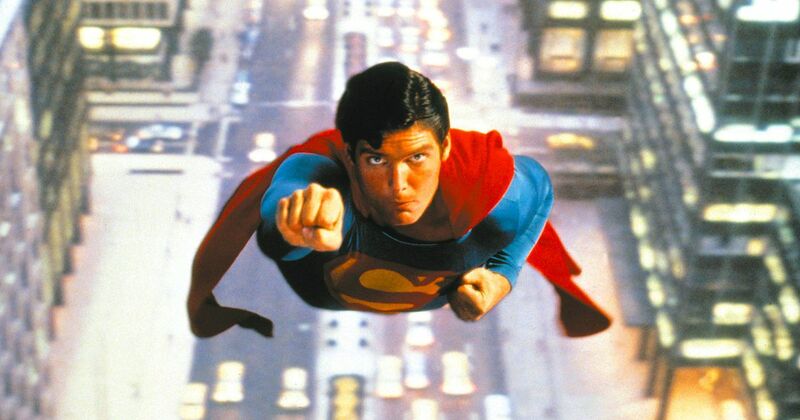 But even as an impressionable kid I’d wince at his corny catchphrase — that he was fighting for “truth, justice and the American way.” The first two seemed too blindingly obvious, the third a strangely parochial choice of goal for Earth’s most famous immigrant. Fast forward to 2018, and here I am, a U.S. resident, literally screaming at the Democratic Party that it needs to overcome its muddled messaging — by appropriating the words of a journalist and immigrant whose entire existence speaks to everything Trump isn’t. Let’s face it — “we’re against Trump” isn’t exactly a positive slogan. Uplifting and inspiring people to go to the polls in November is usually a better tactic than simply scaring them. And more importantly, corny as it is, Superman’s catchphrase literally encompasses exactly what is endangered at this moment in history — and everything the opposition claims to be fighting for. Truth has never been in shorter supply. Not just because we have a president who lies, on average, roughly 6 times per day; not just because he screams “fake news” at any report he disagrees with. That kind of gaslighting would be insane enough on its own, but now the entire GOP seems to have learned that it can brazenly lie on one day and not be held to account the next. Witness Sen. Ted Cruz claiming Monday, after a three-day government shutdown, that he has consistently opposed government shutdowns — despite being solely responsible for the one in 2013. Or Senate Majority Leader Mitch McConnell repeatedly promising votes on bills that never happen. Comparing this lot to Superman villain Lex Luthor is almost an insult to Luthor. He too rode a wave of lies to the presidency — but at least the criminal mastermind had the brains to cover them up. Justice is equally endangered — and again, since Republicans seem to have ceded all claim to the word, Democrats need to start bellowing it 24/7. In the context of 2018, justice is threatened by the right’s brazen attempts to shut down Robert Mueller’s investigation into the president’s connections with Russia; it is also threatened by the GOP’s support for voter suppression and gerrymandering. The latter is tricky to explain to the average voter unless you say it clearly: Republicans are carving up districts in a way that gives them more seats than the voters intend. This is undemocratic and unjust. Democrats aren’t going to be able to change everything overnight, and most of their wins are incremental. But justice is the best way to describe their long-term goal — especially when the shutdown fight produced no clear winners. 1950s Superman: more enlightened than the 2018 GOP. That British kid I was assumed that Superman’s signal boost for “American way” referred to little more than the country’s global cultural exports: burgers, jeans, movies, bad TV cop shows. This is the American way that is under threat — America as the melting pot of the world, America as the land of the huddled masses yearning to breathe free. And that is also the ongoing fight over DACA in a nutshell. Superman, lest we forget, could have been a Dreamer himself. With no agency of his own, he was literally dropped by his literally alien parents into the middle of the United States — and it doesn’t get more middle America than Smallville, Kansas. If you want to get really nerdy about it, Superman was once given honorary U.S. citizenship in the comic books — but that was back before various resets and reboots of the character. These days, his immigration status appears to be in limbo — just like that of the Dreamer kids. The idea of allowing kids who were brought up here to stay here makes sense in itself, but — unless you happen to have read any of the profiles of Dreamers — it’s a faceless fight. Even though a vast majority of Americans are in favor of their right to stay here, a majority also think the government shouldn’t be shut down over the issue. The hard right and immigration hawks are already attempting to rebrand support for Dreamers as support for illegal immigration. That needs to be countered, and fast, with a powerful image — such as that of America’s most famous fictional immigrant. Would ICE dare arrest and deport Superman? Of course not. So why do it to these other American strivers, these credits to the nation? In short: There’s a war on, and 2018 is its pivotal battlefront. The upcoming midterm election is our best chance to fight back against an administration shot through with unprecedented lying, gaslighting, corruption and anti-American intolerance — by electing a Congress that will doggedly investigate, not meekly enable. Which, strange as it sounds, makes this year’s election a literal struggle for truth, justice and the American way. I really wish that were hyperbole, but it isn’t, and that fact can be used to the opposition’s benefit. Admittedly, the catchphrase has a somewhat checkered history. In the 1930s, Superman simply fought for truth and justice. “The American way” was first tacked on by the Superman radio show in 1942, the year the nation was facing its most serious threat in history. Later in the war, the patriotic addendum was dropped. It was mainly used in the ultra-paranoid 1950s, when Superman fought Communist spies on TV. The groovier 1960s TV show dropped it again. The last time the phrase was used on screen was in the original and still the best Superman (1978). Even in that relatively hopeful movie, Lois Lane (Margot Kidder) laughed at the line (nailed to perfection by the mighty Christopher Reeve, but still corny). “You’re going to end up fighting every elected official in this country,” she replies — half in journalistic cynicism, half wishing he would. Foundering on the rocks of 1970s self-doubt, the whole phrase went down the tubes — truth and justice and all. It’s hard to imagine Zack Snyder’s “dark god” version of Superman letting “truth, justice and the American way” slip from his CGI mouth. Which means it’s entirely up to us to bring it back. There’s never been a better time than 2018 for America to shed its mild disguise, reveal its inner superhero — and show the world that it is still as much a beacon of hope as its most famous lycra-clad immigrant.